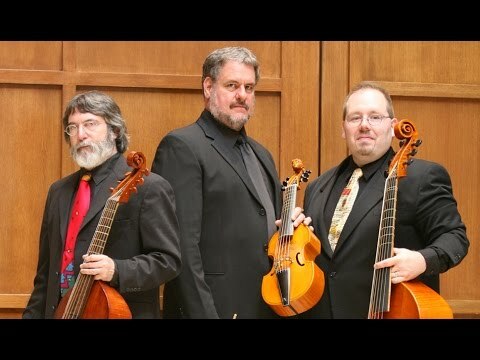 The Spirit of Gambo is a Chicago-area viol consort founded by Ken Perlow, Phillip Serna & Russell Wagner in 2006. We are a versatile chamber group focusing on the rich consort repertoire for violas da gamba – from early works of the 15th-century, to the rich English consort traditions of 16th & 17th-century, to varied continental styles and complex virtuosic works, to challenging contemporary music for viols as well. Our membership consists of prominent historically-informed performance scholars and pedagogues alongside performers representing a variety of period-instrument ensembles around the greater Midwest.